Wie muss mein Selbst gestaltet sein, damit ich in der Welt des Freien Theaters bestehen kann? Brauche ich „männlich“ konnotierte Qualitäten, um anerkannt zu werden und erfolgreich zu sein – und möchte ich sie überhaupt verkörpern? Welche alternativen Qualitäten und Selbst-Erzählungen lassen sich finden? Gemeinsam mit dem Künstlerinnenkollektiv THE AGENCY und einem Personal-Trainer entwickeln die Teilnehmer*innen ein Counter-Toolkit, das der radikalen Selbst-Analyse der von uns verkörperten patriarchalen und neoliberalen Strategien dient und Werkzeuge beinhaltet, die uns helfen, auf eine antipatriarchale Weise zu agieren und die oftmals gegenderten Logiken von Normierung, Effizienz, Power und Ausschluss zu unterwandern. In readings, Gesprächen, Selbst- und Systemanalysen, physical exercises, digitaler Recherche und der Beschäftigung mit künstlerischen Praktiken und Arbeiten werden Tools für die Imagination eines post-patriarchalen Selbst entwickelt. Welche Art von Theater entsteht, wenn Arbeitsstände in Feedbackformaten fortlaufend zur Disposition gestellt werden? Verändert das kollektive Nach- und Weiterdenken die Handschrift der Künstler*innen? Entstehen daraus wachere und weniger selbstbezogene künstlerische Positionen – oder vielmehr glatte Produkte, die auf dem Kunstmarkt optimal funktionieren? Gemeinsam mit den Künstlern Billy Mullaney und Manolis Tsipos (Alumni DAS Theatre Amsterdam) und der Kulturwissenschaftlerin Cecilie Ullerup Schmidt (Promovendin an der Universität Kopenhagen) diskutieren die Teilnehmenden diese Fragen und erproben anhand eigener Arbeitsbeispiele verschiedene Kritikformate. Welcher Praktiken bedarf es, um im Theater solidarischere Organisationsformen, die Öffnung von Entscheidungsprozessen und gerechtere Zugangsmöglichkeiten durchzusetzen? Und wie verändert sich Theaterarbeit, wenn sich die Beteiligten an einem Haus oder in einer Produktion als Kompliz*innen begreifen, die ihre eigene Position und ihre Privilegien ständig befragen? Wirken sich diese Kämpfe allein auf die Arbeitsbedingungen oder auch auf die Ergebnisse künstlerischer Arbeit und ihre öffentliche Wahrnehmung aus? Und wie kann es gelingen, sich nicht nur selbst zu bespiegeln, sondern diese Kämpfe stets auch als Auseinandersetzung mit den gegenwärtigen gesellschaftlichen und ökonomischen Verhältnissen zu denken? Diese Fragen diskutieren die Teilnehmenden gemeinsam mit Melmun Bajarchuu und Adele Dittrich Frydetzki von der Initiative für Solidarität am Theater und Marta Keil vom Performing Arts Institute anhand von eigenen Erfahrungsberichten, Konzepten und Ideen für alternative Organisationsformen. In den letzten Jahren ist die Freie Szene zu einem ernst zu nehmenden, international vernetzten kulturpolitischen Player geworden. Gleichzeitig agieren viele freie Theaterschaffende nach wie vor in improvisierten Strukturen – sei es aufgrund mangelnder Unterstützung durch die lokale bzw. regionale Kulturpolitik oder aufgrund einer bewussten eigenen Entscheidung. Welche Rolle will das Freie Theater zukünftig in Kulturpolitik und Gesellschaft einnehmen? Ist es nach wie vor kritisches Korrektiv und Experimentierfeld oder vielmehr Vorbild für die wendige und effiziente Kulturinstitution von morgen? Und ist professioneller und umfangreicher ausgestattet automatisch besser? S. E. Struck (SEE!) und Philine Velhagen (Drama Köln), die in Köln mit dem Palais Temporär ein künstlerisches Labor und mobiles Zentrum ohne institutionelle Anbindung geschaffen haben, laden gemeinsam mit Julian Kamphausen (Performing Arts Programm) zur Diskussion über Zukunftsmodelle für das Freie Theater. Dieser Beitrag wurde unter Cheers For Fears abgelegt am 27. Januar 2019 von Jascha. How does my self need to be constructed for me to be able to exist in the world of independent theatre? Do I need qualities with “masculine” connotations to be recognized and to be successful — and do I even want to embody these? Which alternative qualities and self-narratives can be found? Together with the artists’ collective THE AGENCY and a personal trainer the participants will create a counter toolkit that serves the radical self-analysis of the patriarchal and neoliberal strategies we embody and contains tools that will help us to act in an anti-patriarchal manner and to subvert the often gendered logics of norms, efficiency, power and exclusion. In readings, talks, self-analysis and analysis of systems, physical exercises, digital research and investigations of artistic practices and works, tools will be developed to imagine a post-patriarchal self. What kind of theatre will be created if the state of the work is continually made subject to discussion in feedback processes? Does retrospective and prospective collective thinking change artists’ signatures? Does this result in weaker and less self-centred artistic positions – or rather in smoother products that operate in an optimised manner on the art market? Participants will discuss these questions together with the artists Billy Mullaney and Manolis Tsipos (alumni of DAS Theatre Amsterdam) and the cultural researcher Cecilie Ullerup Schmidt (doctoral candidate at the University of Copenhagen) and explore a range of critical formats with reference to examples of their own work. Which practices are required to achieve more solidary forms of organisation, an opening up of decision-making processes and fairer opportunities for access in the theatre? And how does work on theatre change once those involved in a building or a production regard themselves as accomplices and continually question their own position and privileges? Do these struggles purely affect working conditions or do they also impact on the outcomes of artistic work and how these are perceived publicly? And how is it possible not simply to reflect oneself but to regard these struggles as conflicts with current social and economic conditions? The participants will discuss these questions together with Melmun Bajarchuu and Adele Dittrich Frydetzki from the Initiative for Solidarity in Theatre and Marta Keil from Performing Arts Institute using accounts of their own experiences, concepts and ideas or alternative forms of organisation. In recent years the independent theatre has become a serious player in cultural policy with an international network. At the same time many independent theatre practitioners continue to operate within improvised structures — whether this is due to lack of support from local or regional cultural agencies or from a deliberate personal choice. What future role does the independent theatre want to take in cultural policy and society? Will it remain a critical corrective and area of experimentation or rather a paradigm for the agile and efficient cultural institutions of tomorrow? And does more professional and better equipped automatically mean better? S.E. Struck (SEE!) 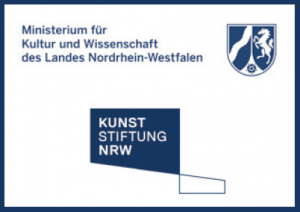 and Philine Velhagen (Drama Köln), who with Palais Temporär have created an artistic laboratory and mobile centre in Cologne without being tied to any institution, invite you to a discussion about future models for the independent theatre together with Julian Kamphausen (Performing Arts Programm). Dieser Beitrag wurde unter Cheers For Fears abgelegt am 24. Januar 2019 von Jascha. Management techniques are omnipresent: life and business coaches, trainers and counsellors claim how work and the everyday can be guided, calculated and optimised — in ways that range from one’s own well-being and performance to the working process and its results. This development is also being felt in the independent theatre and in artists’ training. Theatremakers are accompanied by mentors and coaches, artistic works developed in workshops and feedback sessions and projects evaluated once they have been completed. But does this guarantee that the art will be any good? And how much scope remains for work, intuition and improvisation where the results are truly open? Artists and academics from a variety of disciplines discuss the links between artistic practice and management discourse, reflect on what effects techniques to raise performance and quality have on artists and artistic outcomes and discuss potential alternatives to current developments. In recent years the independent theatre has successfully advocated better working conditions, higher funding budgets and greater visibility. In many places theatre practitioners are thinking about how to remove institutional structures of power, create new opportunities for access and organise themselves in more solidary fashion. The panel attempts to assess the situation: how have artistic processes and their outcomes been changed by these developments? How diverse and solidary is the scene really? And who is sitting in the audience? Can the independent theatre continue to claim it is a critical corrective? And what role can it play in future in cultural politics and society: as an area of resistance, a representative cultural institution or something in between? Dieser Beitrag wurde unter Cheers For Fears abgelegt am 23. Januar 2019 von Jascha. 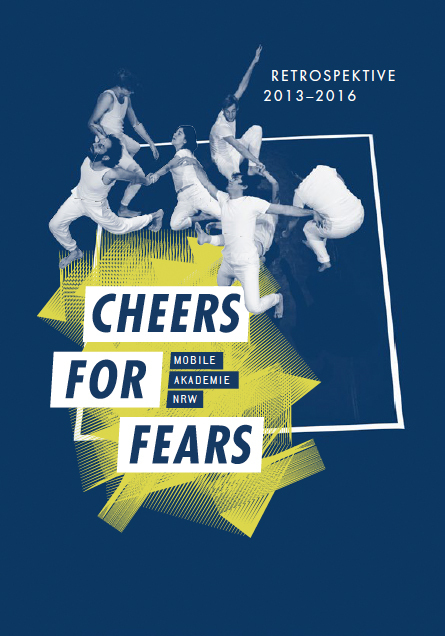 Dieser Beitrag wurde unter Cheers For Fears, Gesuche abgelegt am 7. Januar 2019 von Jascha. Cheers for Fears und die Eve Bar (we also heard some people calling it „Oval-“ or „Evil Office Bar“) machen einen Stammtisch für Euch! Also uns! Yippee! Sina und Jascha schenken Bier und Limonade aus und sprechen mit Euch über Bewegendes. Eingeladen sind alle institutionell gebundenen und ungebundenen Studierenden des Lebens und der Künste. Um 9 spielt der Cheersveteran Jens Eike Krüger seine humorvollen und hintersinnigen Songs. Es wird also mal wieder großartig. Getränke und Musikk gegen Spende. Kommt vorbei! Dieser Beitrag wurde unter Cheers For Fears abgelegt am 29. November 2018 von Jascha. Dieser Beitrag wurde unter Cheers For Fears abgelegt am 23. November 2018 von Jascha.